The image of Mount Fuji comes to my mind when I think of Japan. It is Japan’s highest mountain towering at 3 667 m. For centuries this mountain has been a sacred site for pilgrims and a source of inspiration for many artists as well as poets. For me, it is a reminder of how perseverance and determination can help conquer what seems impossible. 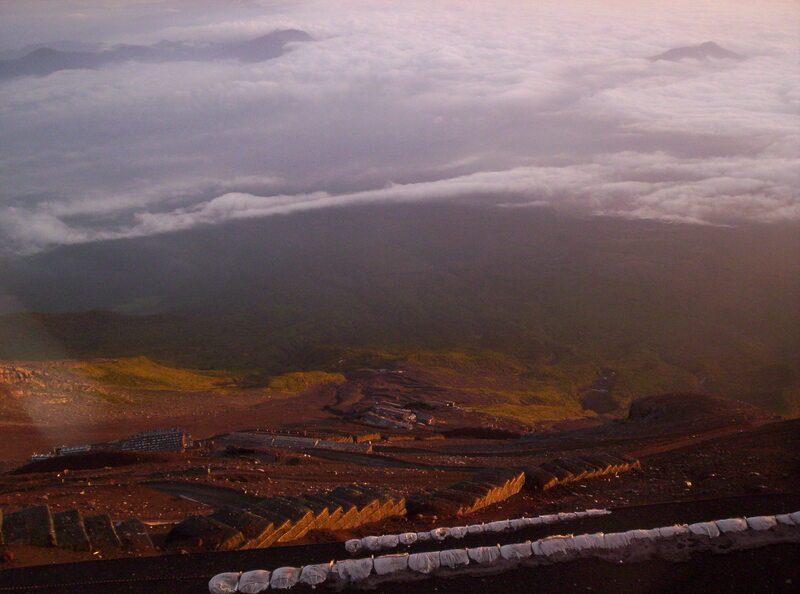 When I decided to climb to the summit of Mount Fuji, I was a very inexperienced hiker. I had never before climbed to such a high altitude. Mount Fuji has 10 stations along the route to the top. The majority of tourists or sightseers ride a bus to Station 5 and then climb to the peak. 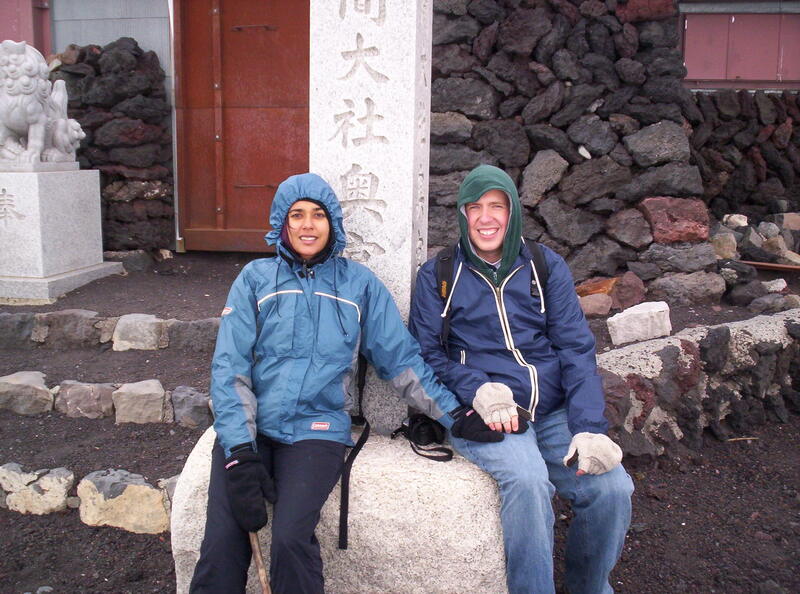 However, Jason and I were motivated to climb all of Mount Fuji starting from the foot of the mountain. 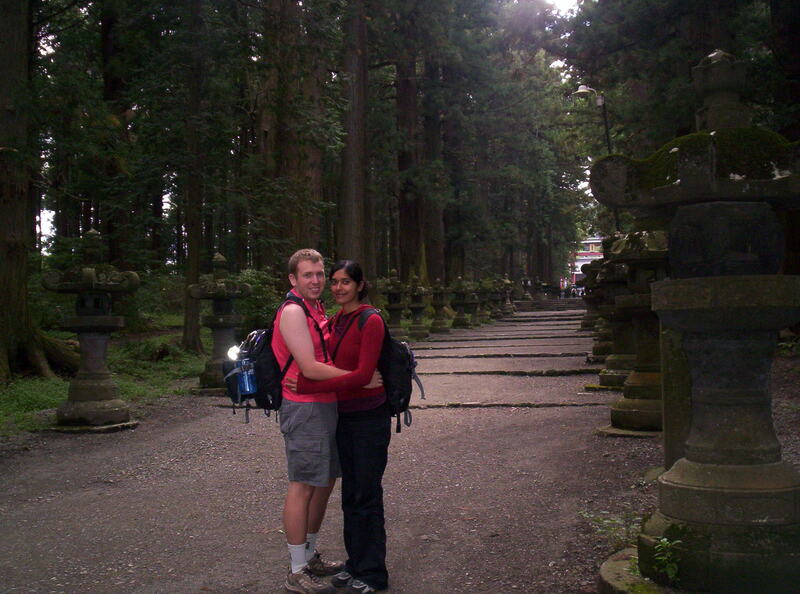 We began our journey at the northern base of the mountain, near the Fujiyoshida Sengen Shrine. This holy shrine is dedicated to Princess Konohanasakuya, the Shinto deity identified with Mount Fuji. 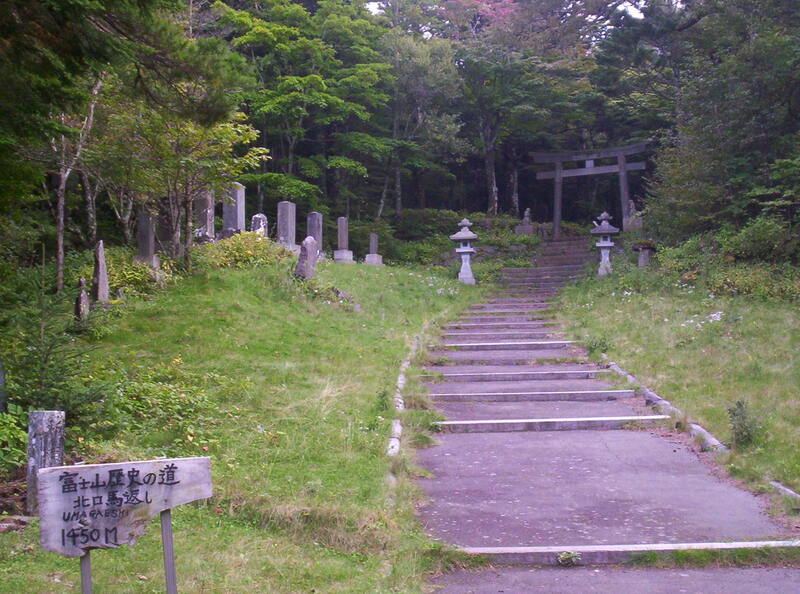 The path to the shrine is lined up with stone lanterns and tall cedar trees. After visiting the holy shrine, we tried to use our map to find the entrance to the Yoshidaguchi Trail. However, we had great difficulties finding it. It was early afternoon and about 1.5 hours later once we finally discovered the right way! After overcoming our initial frustrations, we spent the next few hours enjoying ourselves. The landscape was very green and scenic with plenty of vegetation. The hike itself was very pleasant and relaxing. 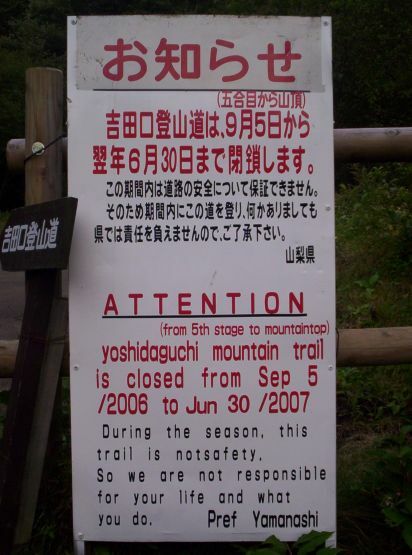 We eventually came across this sign, warning us how we would be taking a risk by hiking this trail. We read it, took a photo, and kept moving along the trail. Every time we passed a station, we would get excited since we were getting closer to our goal. We had been hiking for a few hours and were beginning to grow weary and cold. By the time we reached Station 5, it was extremely dark and cold. We decided to take a four hour rest break inside a small hut. The Japanese treated us with great hospitality. I remember feeling so cold and hungry, when an elderly Japanese woman brought me a hot bowl of udon. That was one of the best udon meals I have ever had in my life. It was made with fresh mushrooms that were grown on Mount Fuji itself! (Now every time I have udon, I always recall this beautiful memory of Mount Fuji!) In addition to serving us a delicious hot meal, the Japanese gave us some cozy blankets for our nap. Despite our desire to sleep a bit longer, we woke up around midnight. It was terribly cold. But we were determined. We wanted to reach the summit before sunrise. Besides overcoming the lack of sleep and intense cold, the other major challenge I encountered was breathing problems. Between Station 9 and the peak, it was becoming very difficult to breathe at such a high altitude. I slowed my pace and simply took it as easy as I could until I finally reached the summit. 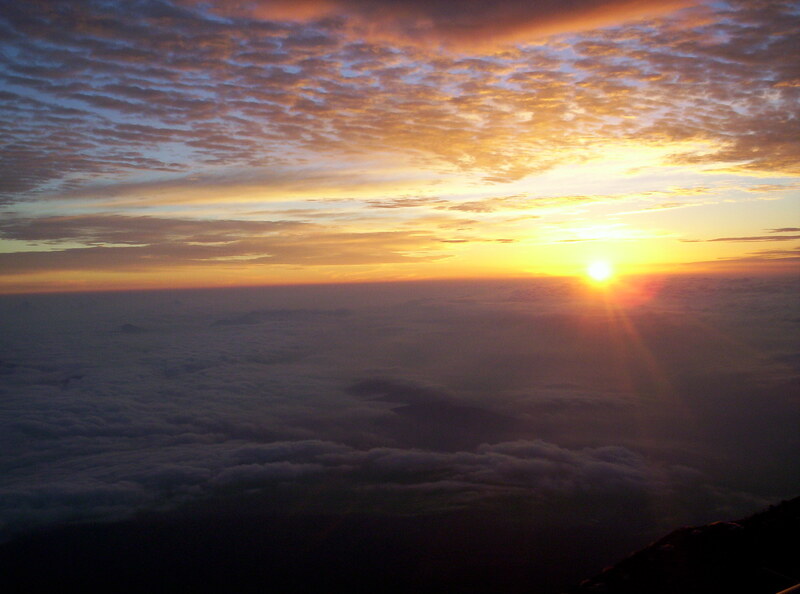 This is a view of the gorgeous sunrise from Mount Fuji. It took us about 10 hours altogether of climbing to reach the summit of Mount Fuji. It was definitely an accomplishment. Quite honestly, I never imagined that one day I would be sitting at the top of Japan’s tallest mountain with my best friend! We both felt incredibly awesome! 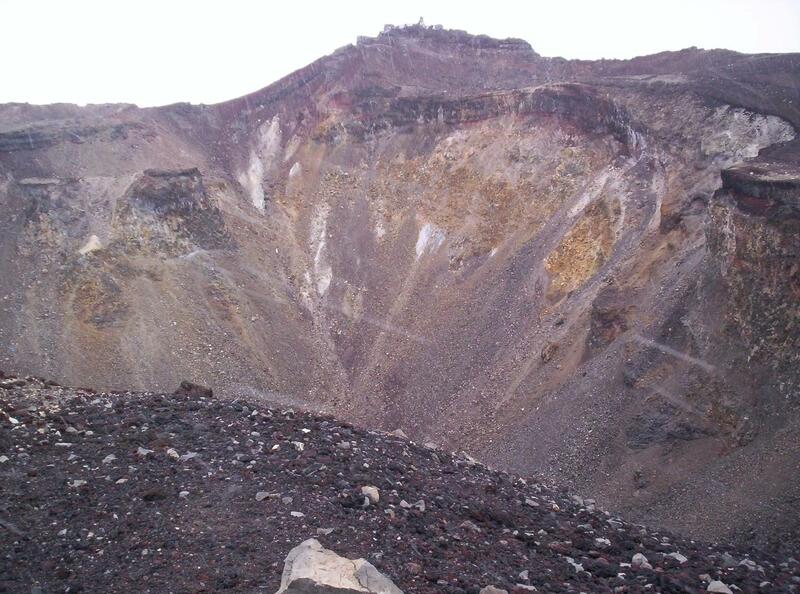 The first snow of the year began falling while we were walking around the crater of this volcanic cone. 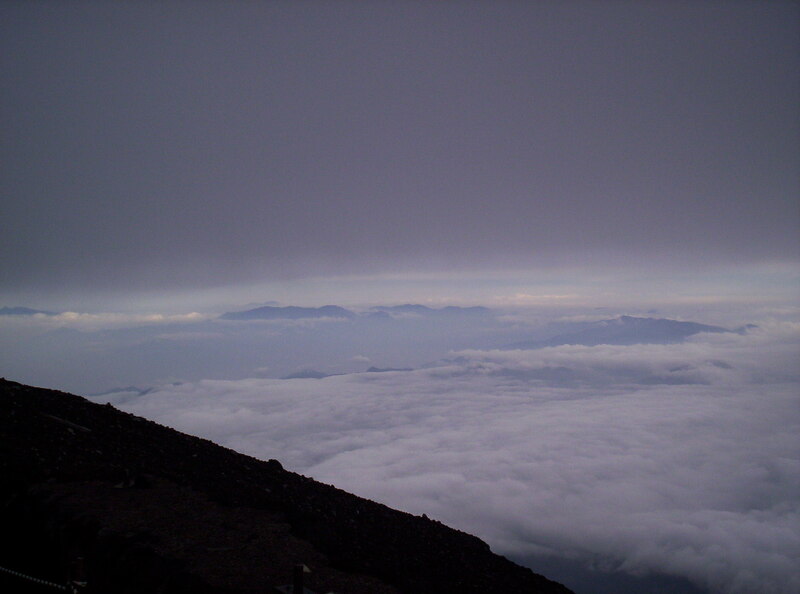 Throughout our journey we experienced all kinds of weather (sunny, snowy, cloudy, rainy, windy, foggy) on Mount Fuji. That was pretty awesome! For me, descending the steep slopes of Mt. Fuji was definitely more challenging than climbing to the top. It was difficult to get a good footing on the ground since the steep paths consisted of tiny rocks that slid easily. Most Japanese hikers were simply running down these slopes, which of course was actually easier than taking steady short steps. However, I was too cautious and nervous to be running down Mount Fuji! 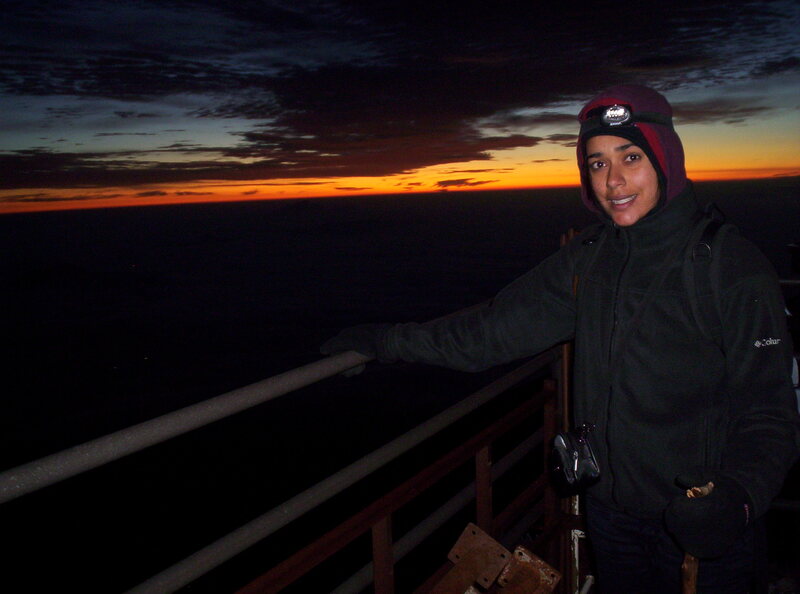 Despite all my challenges, my experience on Mount Fuji was very rewarding and fun. I learned with perseverance and determination I can accomplish a lot.